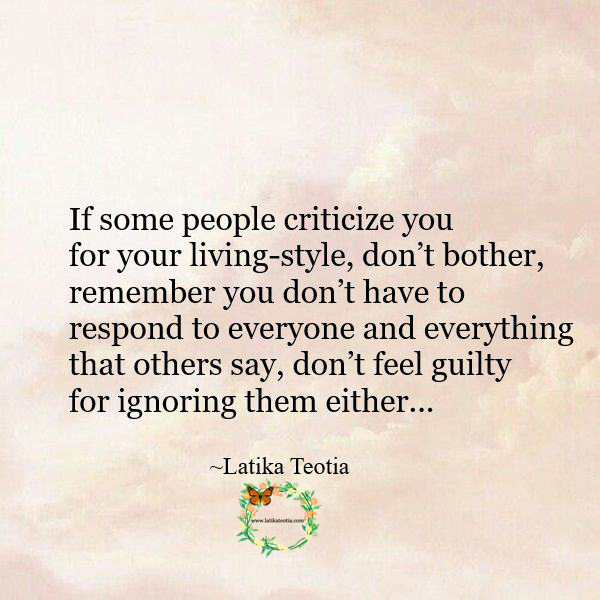 Lead a life you want to without feeling guilty !!! The real ‘reason’ of an ‘excuse’ is to get off the hook !!! People try to get off the hook by giving excuses. Actually the reason why they are doing that is to try and get rid of the guilt which invariably accompanies such acts. They are trying to lessen their burden by passing on the responsibility on to others. They mix up excuse with reason. 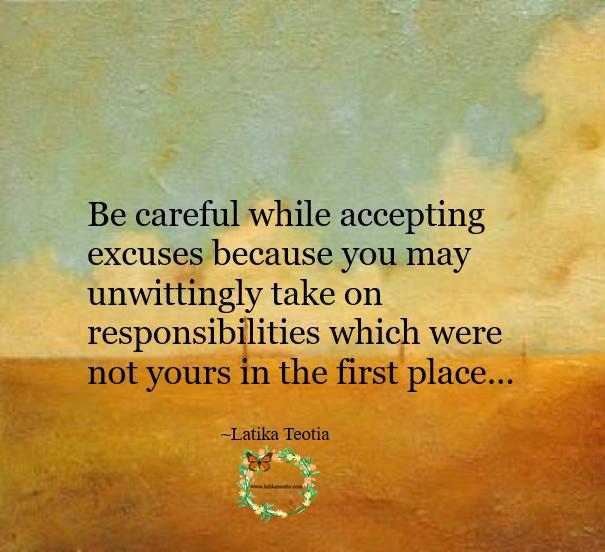 An excuse is an excuse and most certainly not a reason.. Be careful while accepting excuses because you may unwittingly take on responsibilities which were not yours in the first place.